The Export Alabama Alliance is a seamless network of international trade agencies with the fundamental objective of helping Alabama companies grow their business internationally. This strong alliance of local, state, and federal organizations works together to develop and coordinate programs to facilitate the export of Alabama’s goods and services overseas. 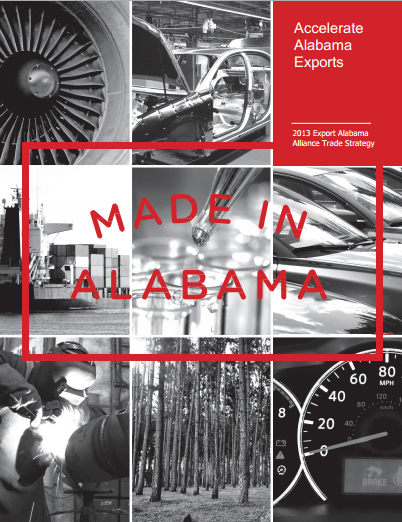 The Export Alabama Trade Alliance was formed in 2004 as part of the Governor’s Export Strategy. This statewide “working” council was established to guide and facilitate the overall Export Alabama program. The Alliance consists of representatives from each of the program partners and meets quarterly and/or as needed. The Alliance is chaired by Hilda Lockhart, Alabama Department of Commerce.